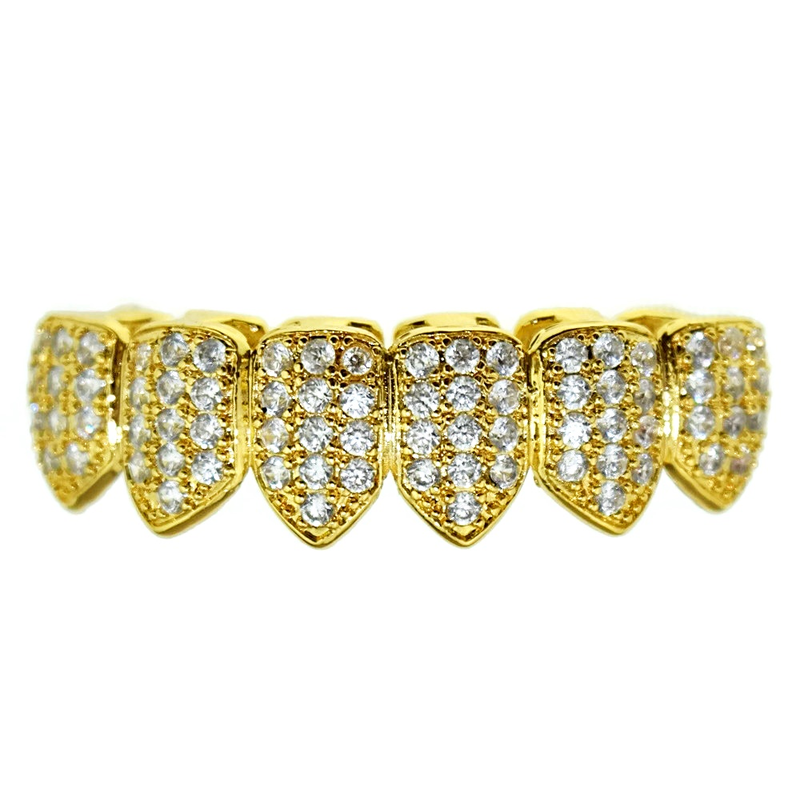 Best Grillz™ CZ bottom teeth grillz. 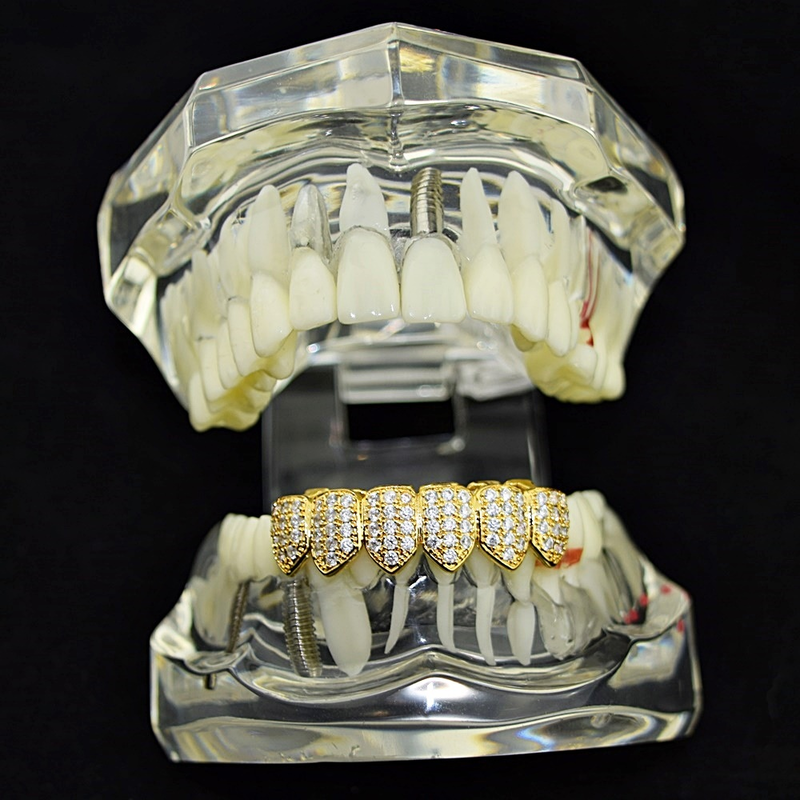 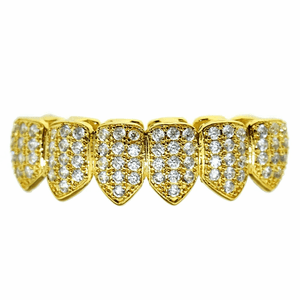 Grillz are 18k gold plated over brass metal. 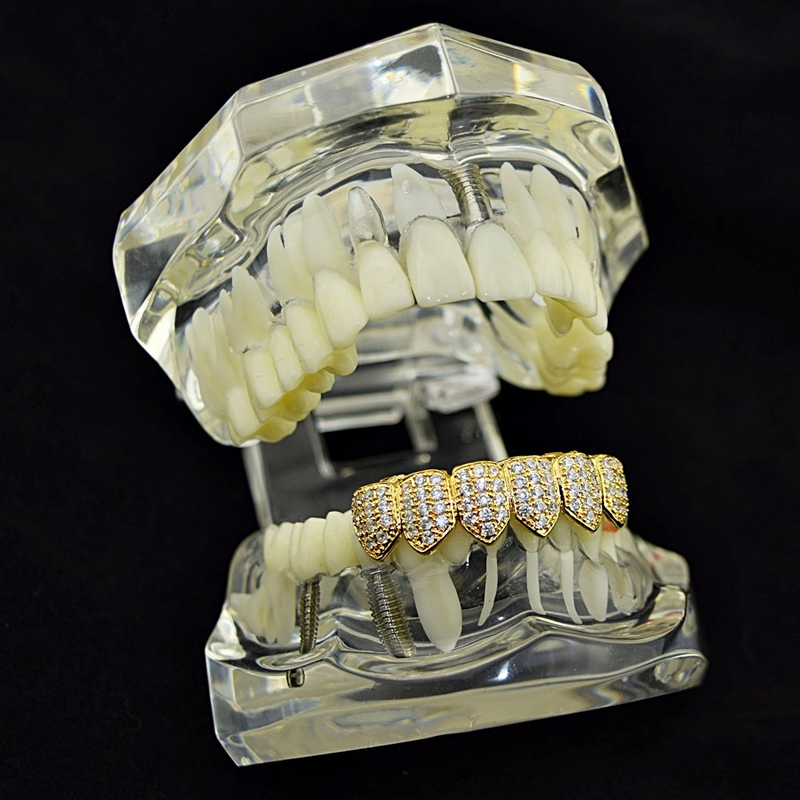 Dazzling genuine Cubic Zirconia stones. 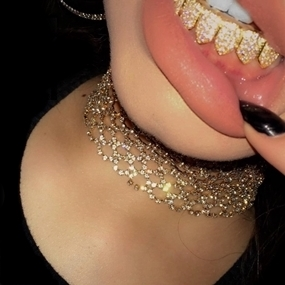 Real looking gold grillz set made in Korea.